Solely based on these reports i see no reason why not. We may all be expecting that their will be a better GPU and/or CPU in it, but for all we know it's really just a slim Xbox One. So far nothing has leaked or even rumoured really about real hardware improvements. Of course they plan it out, but if they are any good they will alter their presentations to respond to their competitors, especially when they have a whole day to do so. I'm talking about PR and messaging. When the other guy goes first, you can really take advantage of the situation by shaping your announcement as a response. Sony has done this repeatedly. Not just with the DRM video but all the way back to the original 1995 E3 PS1 announcement where, after Sega had went first detailing the price and launch of the Saturn, Sony came up afterwards and just said "$299" and walked off like a boss. Not only did they undercut Sega, but they were able to do it in such a way that they seemed cool as hell and gave them a lot of buzz. Going forward I expect every Xbox console to be backwards compatible. Phil Spencer essentially said this was the plan during the press event a few months back when he said they were decoupling the hardware from the software. 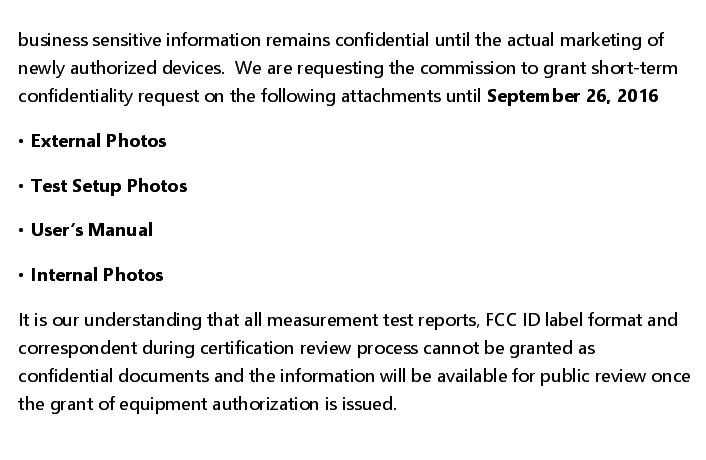 So, is there any particular reason why people think a device that's probably not even launching this year is getting an FCC filing now? Isn't it likely that both of these are just Slim SKUs? What kind of console would we have in 2010? If there is a new device, why assume it's a 2017 product and not a 2016 one? Why would there be 2 slim models? I'm thinking MS completely relaunch the Xbox brand this year, with full Windows 10 integration, and 2 new consoles. A low cost slim model and a premium high end model. Because there's no point to doing this unless it's 14nmFF, and that's pretty unlikely for a console this year. Also, the filing is a bit early even for Holiday 2016. It's the Wii U, for those who didn't pick it up at first, like myself. This is exactly what I see happening. 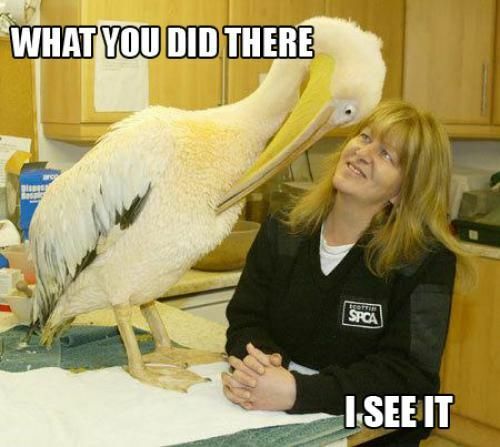 I find it fascinating that people assume a new PS4 is closer than a new Xbox just because info has leaked about a new PS4. MS has been actively talking about doing this, and everything they have done in the last year has been leading up to it. I don't see either of them happening this year. Both seem like Q1 2017 products at the absolute earliest. I looked for it in the PS4K thread but couldn't find it. What exactly did you mean? I agree. 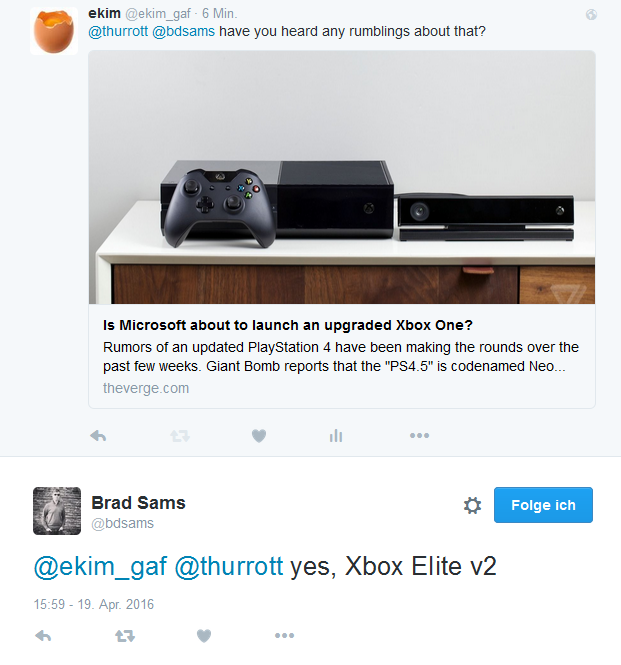 I think MS will hold back another year and release a new, full revision of Xbox rather than a .5 revision. If MS has the desire to put out a sizeable mid-gen upgrade, there is the ability to put into a 6+ teraflop gpu and a 2x jaguar CPU into a 150W console with 14nm in 2017. For $399, the best specs they can do. 20W 8 core Zen CPU at 2.1 ghz. 120W 48CU Polaris GPU at 1050mhz, 6.5 teraflop. 8GB GDDR5X / HBM2 300 gb/s+ bandwidth. This is the around minimum specs required for 4K output of PS4 level graphics with the same framerate. Honestly, I'm more excited for this xbox onepointfive more so than the ps4k. PS4 was already booming when it came to performance. Well more than x1. They should stop releasing their games on PC tho. I know it's awesome, but it makes me less likely to buy an xbox one. Haha interesting choice for avatar. It´s not. It is a disaster. Ah yes that, that i knew about. But doesn't it go against what he later said? That he didn't like the idea of Xbox 1.5? So wtf is Model 1688? It includes testing reports that are usual for mobile phones or tablets but normally it's not a FCC filing by Microsoft Corporation but it's mobile division. Also the photos from the SAR tests indicate some device in the form of a pretty long remote control. I place my bets on a wireless headset. They've yet to make an official one and if they are having to do tissue tests, maybe it's something that is close to the head. On Another note, I checked the model number of the Shadow Dusk pad and it is 1697, the same as all the other 3.5mm jack pads that have been released. Sometimes in a gen you accept the "L" and just maintain support until the next big thing launches. It's not cost-effective to come from behind as you'll never make up the difference, so the best thing you can do is launch earlier than your competition next time and attempt to steal their audience. It's basically what they did with the Xbox -> 360 transition. I'm not saying that's what they are doing now, though. The "gen" model is about to be turned on its head. I'm starting to think you're going to see some kind of paradigm shift with Xbox rather than a 1.5 console iteration. Maybe something more akin to steam machines than traditional consoles. It will probably be a disaster, but we'll see. I think MS will hold back another year and release a new, full revision of Xbox rather than a .5 revision. Recent comments by Phil make me think you're right. I can see the next Xbox coming out in 2017, with full backward compatibility for all Xbox One games and an ever-growing list of Xbox 360 games - thanks to the Windows 10 framework that unites all-things-Microsoft now. November 2017 would put the next Xbox at the four-year mark of the Xbox One. As a frame of reference, Microsoft released the Xbox 360 four years after the original Xbox. After some more poking. 1688 is Hololens. 100% sure on that one. Please be true! in the 360 ms made 2 official headsets and in the xbox one none. Hm? No why should it be s megaton? Not at all. The developer units started shipping out a couple weeks ago. "Release this game on the Xbox One console"
"Release this game on Xbox One and future Xbox consoles"
XBOX 1.11 |OT| You can (not) 1080p60fps. I suppose it would depend. If they were changing the wireless solution to support surround sound through the controller wirelessly, I would definitely be there. I'm not quite sure what else they would add to the controller that isn't doable with the chatpad though. Sorry guys, i was genuinly intrigued to just see Hololens in this thread. I wouldn't mind a new standard controller that incorporates some of the features of the Elite, but obviously using lesser materials. B...b...but M$ are getting out of the console business. Is it possible for MS to have a deal with AMD for Polaris as well or very unlikely? I know nobody here can know, except some insiders, but what are the chances? This Elite V2 could be that slim model that we keep hearing about. But then the question remains...are there any real hardware differences? Man it's so silent on Microsoft's side. Absolutely possible. AMD isn't swimming in cash and thus need the business, so unless Sony paid a large amount of money for the exclusive rights to use Polaris (which they didn't), there's nothing holding Microsoft back from using Polaris as well. 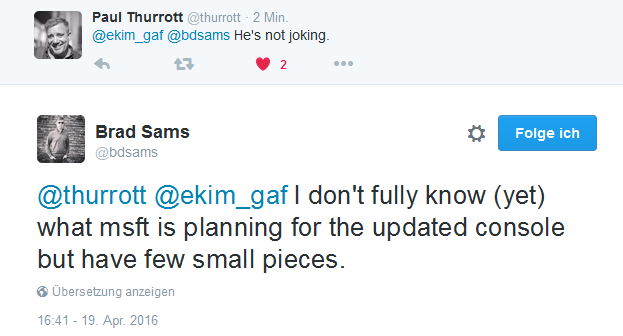 It will be interesting to see how they deal with the eSRAM problem moving forwards. Ok cool, MS would be dumb not to go for it then, if they plan a improved Xbox One that is. From what i am hearing Polaris in PS4K is something to be really happy about. ...are there any real hardware differences? Man it's so silent on Microsoft's side. People should probably temper their expectations. If there's little smoke, there might not be much fire. At least not yet. I think it's a given that if MS is planning any spec bump, it's farther out than Sony's is. While it's possible that MS has plugged it's leaky ship, most of the PS4K leaks have come from devs and you can bet they'd be talking Xbox 1.5 too if such a thing were launching in the same time frame as the Neo. More likely we're just looking at a fancy slim with some minor hardware changes (not affecting performance, for the most part) in the short term. Then some kind of upgrade in the future after Sony's played their hand. The NDA for both 1682 and 1683 was changed to September. What does that actually mean, ekim? 'Something' is launching in September? I have no idea. The initial NDAs would've lifted in June resp. July. But September makes more sense for a console to launch. I still pessimistically think, it's "just" the Xbox One Slim which I'm more than sure will come this year but I think we will get an announcement or at least tease for both. Would be really dumb if Microsoft has nothing to rival that better spec'd PS4. Considering the top Polaris chip is meant to be 40CU and 150 Watts I don't see how they can increase the SP count by 20% and consume less power unless the clockspeed is a lot lower. Even with 1 year of improvement at the fab. We have no idea how big or power hungry Zen is so any figures in relation to that are ripped straight from your arse. I also don't see how that could possibly be $399, the GPU die would be in the region of 250-260mm^2 on its own. No clue how big or small Zen is and then the big question, ESRAM, do they ditch it or not, stick with what they have for compatibility with previous games or what. Overall you are looking at a 300+mm^2 die. I doubt those specs will be possible at that price point and at that power consumption. Xbox One Slim. Will indeed have a slight spec bump but MS will not really talk about it. GPU/CPU will be another more energy efficient smaller architecture but just as powerful as the PS4 vanilla one, maybe less. This will help BC and OS performance. Older games will simply get resources assigned to run the same as before via the hypervisor. Newer games surely benefit from the slight boost. Remember the 360 also got a better GPU (or CPU? don't remember) mid-gen but MS bottlenecked it to ensure compatibility. The same will happen here sans the artificial bottleneck. Additionally MS will announce an indeed better machine for next year based on the same base components/architecture as the Slim. Basically what ProElite wrote here and in his thread. All will happen on a dedicated event before E3. Non news to look forward to for existing owners then.